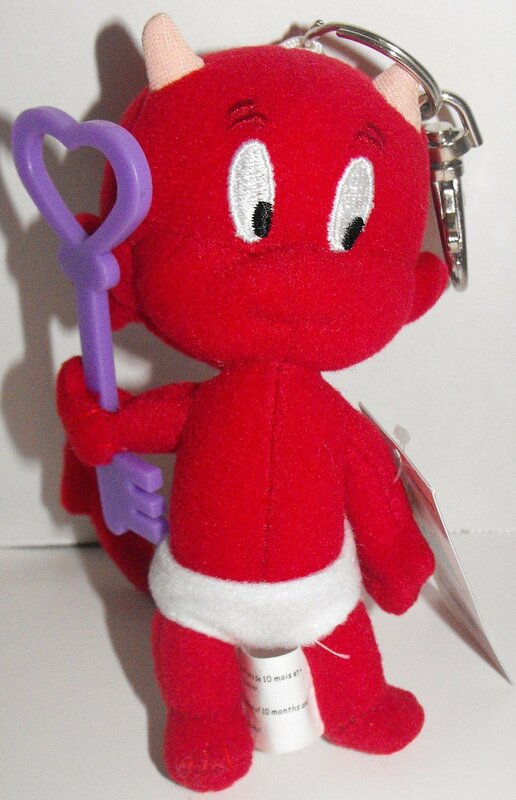 Hot Stuff Plush Keychain with Purple Key, 4 inches tall, Made by Demons & Merveilles. Brand new, never used. This figurine comes in pastic bag with tag. The doll part is soft and plushy. The keychain part is made of metal. The purple key is made of plastic.